Hi lovelies! Hope you all had a wonderful Easter weekend. 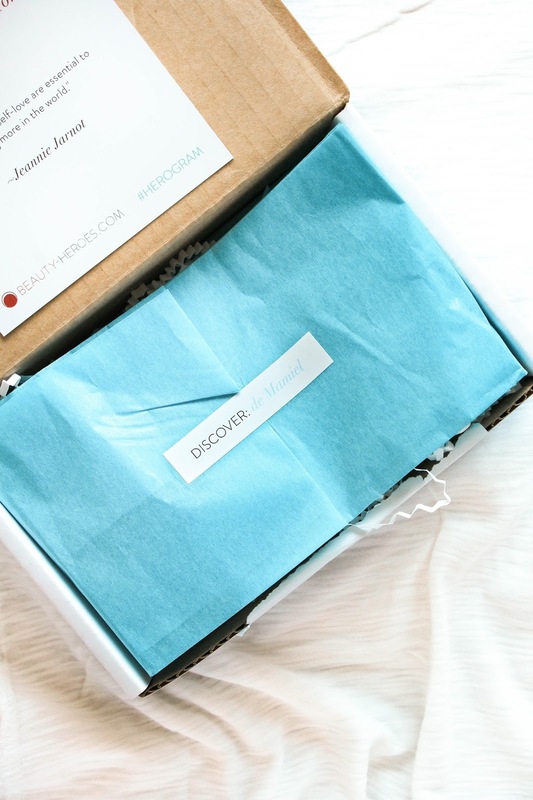 For a change I'm already posting the content of the new April Beauty Heroes Beauty Discovery*. Say hello to the gorgeous and luxurious UK brand de Mamiel. 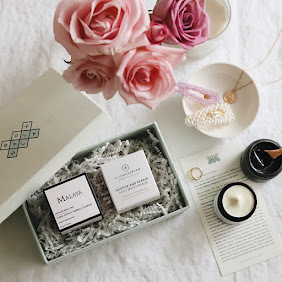 The brand was founded by Annee de Mamiel, an acupuncturist, aromatherapist, esthetician. 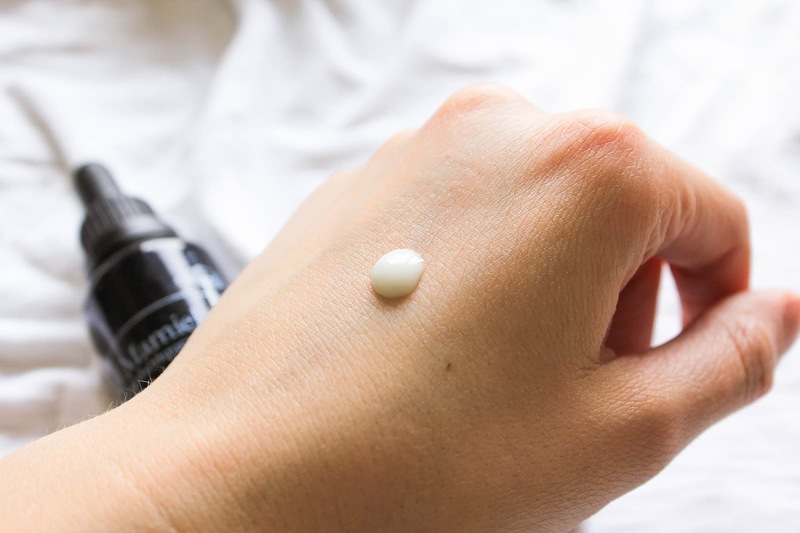 de Mamiel is the solution for stressed skin. As you all now stress is the worst thing ever and not only it can have an effect on our emotional and physical body but it can also negatively effect the skin. 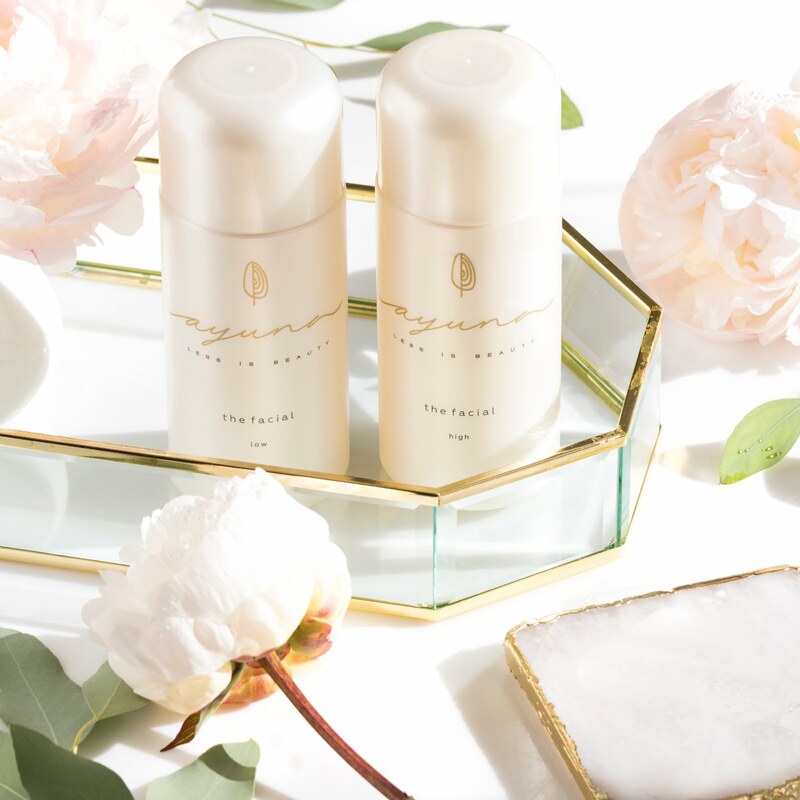 The brand addresses everyday emotional stress with the Botaniques range and environmental stress with Atmospheriques range. The products featured in the April Beauty Heroes box are from the latter, the Atmospheriques range. So what's in the box? 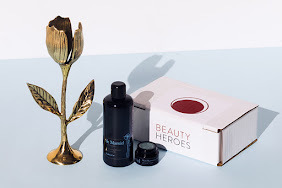 The Hero is de Mamiel Intense Nurture Antioxidant Elixir which is a serum. 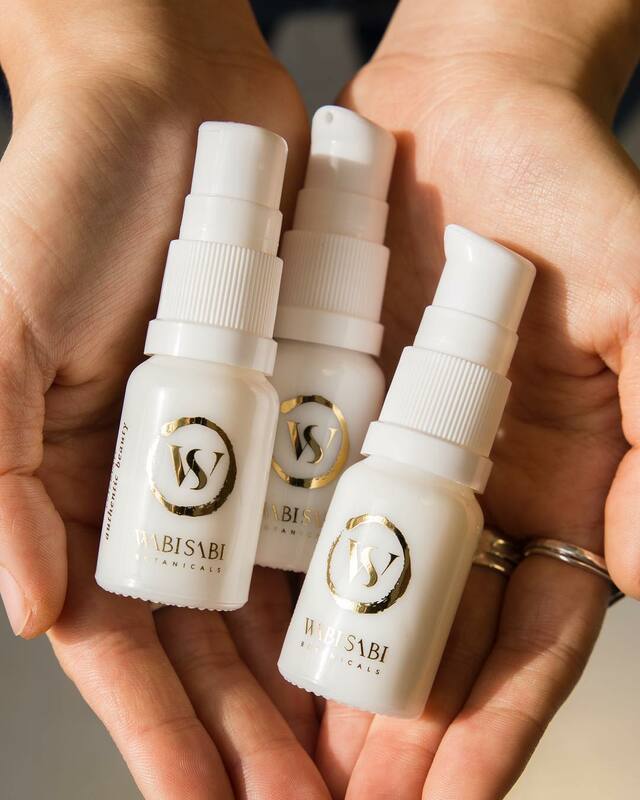 A true serum, a super lightweight emulsion and not an oil aka oil serum. This feather-light, free radical fighting emulsion is the ultimate renewal serum for pollution-proof skin. It's a water based serum (wish it was aloe vera juice to be honest) but there is Glycerin which is also a humectant. Most of other ingredients are much more exciting and the ingredient list itself is very complex (see it in full here). 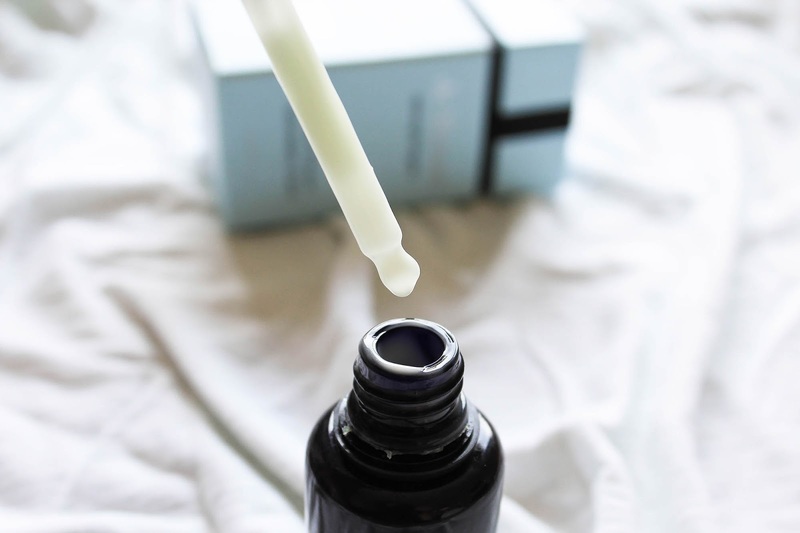 The serum is packed full of antioxidants and here it gets very interesting. In Nurture are 1st and 2nd generation antioxidants. Say whaaat? 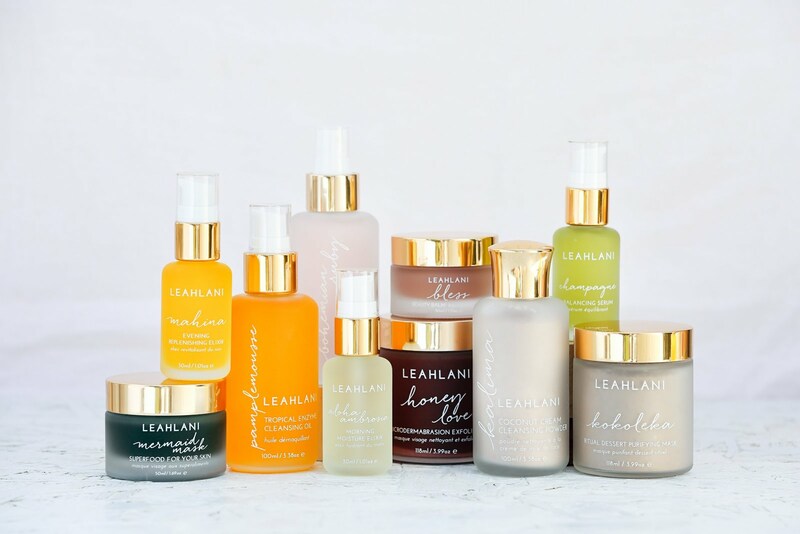 Do not think I truly understand what that means but Jeannie kindly explained it that the different antioxidants in this serum basically interact at different phases of oxidation. She also shared that in Nurture the 1st generation antioxidants are Ferulic Acid (from rice bran) and Superoxide Dismutase (a by-product of biofermentation). 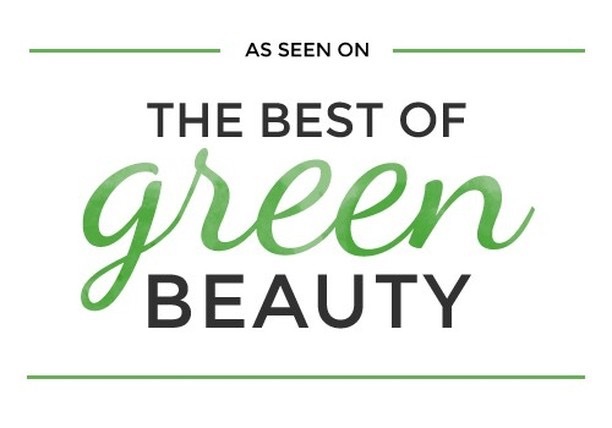 And a 2nd generation antioxidant is Malachite Extract and Quercetin (also a by product of biofermentation), which are known to extract impurities and repair damaged skin. There is Sodium Hyaluronate, which is more hydrating than Hyaluronic Acid, Prickly Pear Seed Oil, which is in two of my current fave products (Sensitive Facial Oil* by Mono Naturoils and Aknari Brightening Youth Serum* by Mun Skincare). In this serum are also Ylang Ylang, Geranium and many more, like Japanese Pogoda, Wintergreen & Grandmother's Pine. 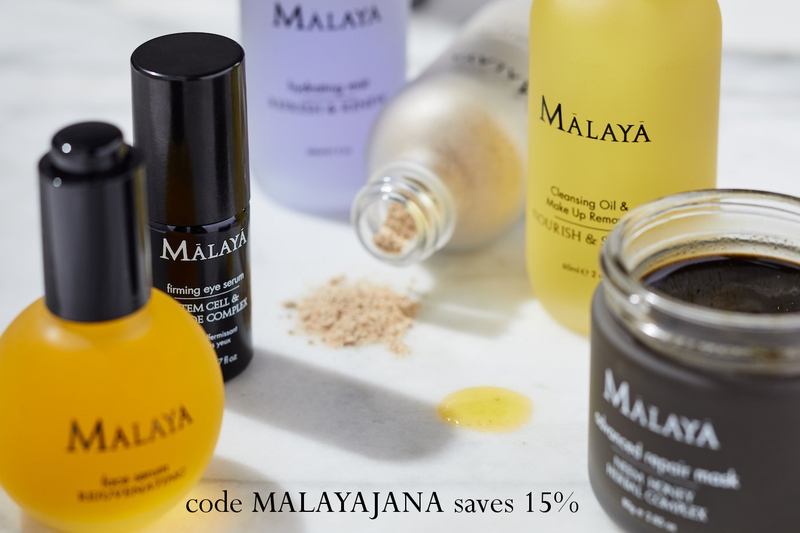 I also have to mention that it contains Fractionated Coconut Oil, so if your skin reacts badly to Coconut Oil I would suggest a patch test, and one palm oil derivate which is marked as Certified Organic and Ecocert Certified, which essentially means it's derived from a sustainable palm oil. 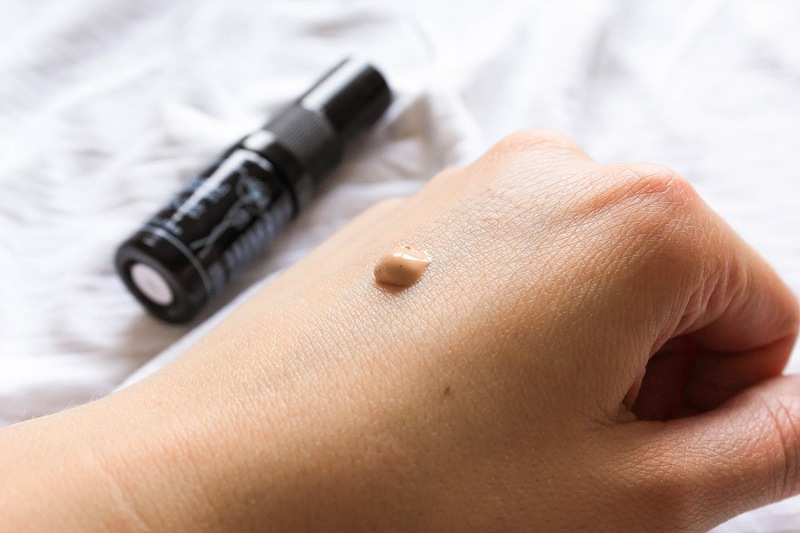 This serum has a subtle floral-ish fragrance and very lightweight texture that is almost sticky on the skin when you first apply it. It's absorbed instantly into the skin, leaving it smooth and radiant. After a week of use I really can't speak about the antioxidant power and also know that Annee doesn’t formulate products to necessarily have an immediate effect. 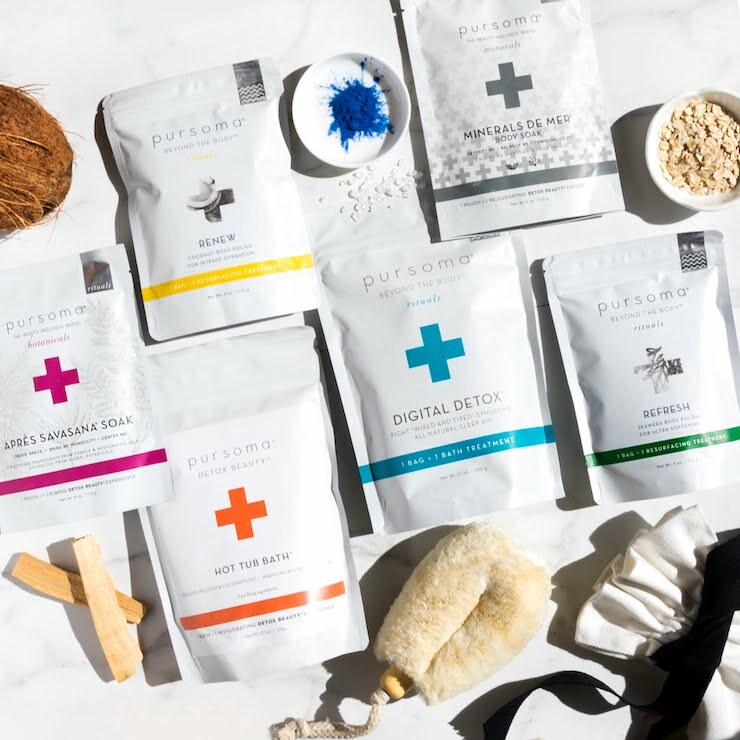 She really expects products to work to address underlying imbalances over time. I will say that I find that some other product are a bit more hydrating BUT this serum isn't described as a hydrating serum. My first impressions of this serum are very good and I'm really looking forward to using it for weeks to come. I love the consistency and you know I'm all about them antioxidants. I'm impressed. 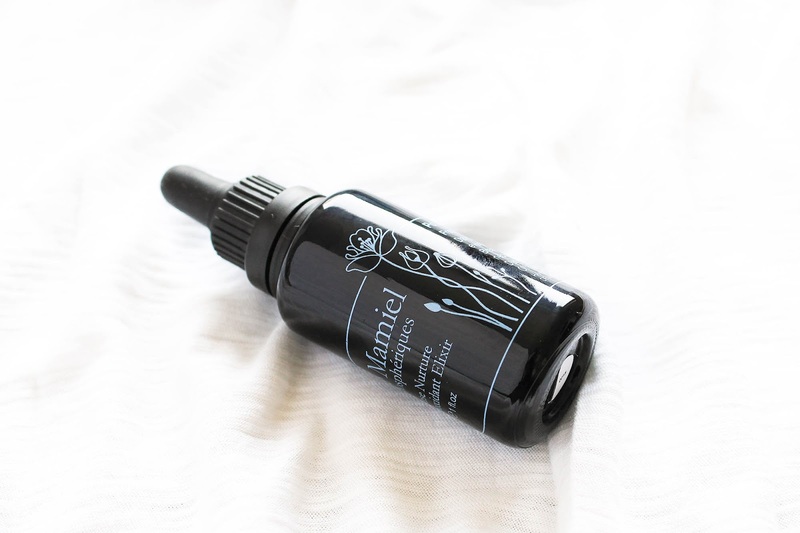 Read more about de Mamiel Intense Nurture Antioxidant Elixir here. 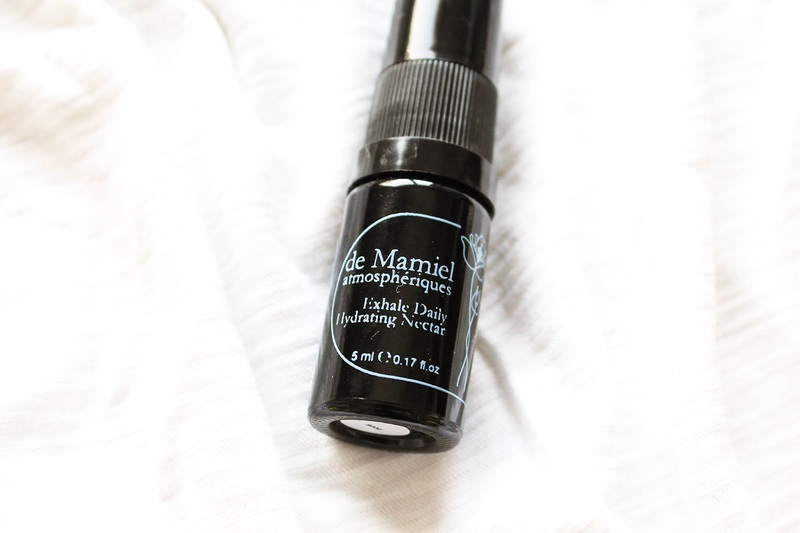 Onto the April Sidekick, the de Mamiel Exhale Daily Hydrating Nectar, a lovely daytime moisturizer. It's actually a lightweight tinted sunscreen that is like Nurture based on Water and Fractionated Coconut Oil. The active ingredients with sun protecting properties are non-nano Zinc Oxide and Titanium Dioxide. The same as with Nurture the ingredient list is complex and the end result is so lovely. It's lightweight which is especially wonderful for a sunscreen. The tinted formula is sheer and it doesn't show on the skin. You won't have any problems with white cast with this one! It's not heavy or pore-clogging. First impressions are wonderful and it's actually making me sad that it's only 5ml. 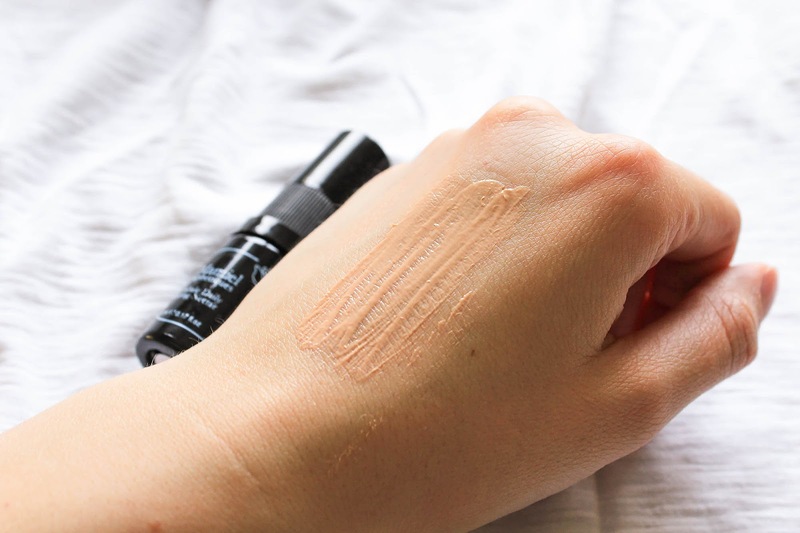 Definitely consider Nectar if you're on a hunt for a new sunscreen because it is a good one! Read more about this product here. Before I end this post I would like to finish on a quick note about sunscreens. I have already proclaimed my love to mineral sunscreens using non-nano ingredients (and other beautiful natural and organic ingredients). Many mineral sunscreens are no longer what they used to be, meaning heavy, thick and white. 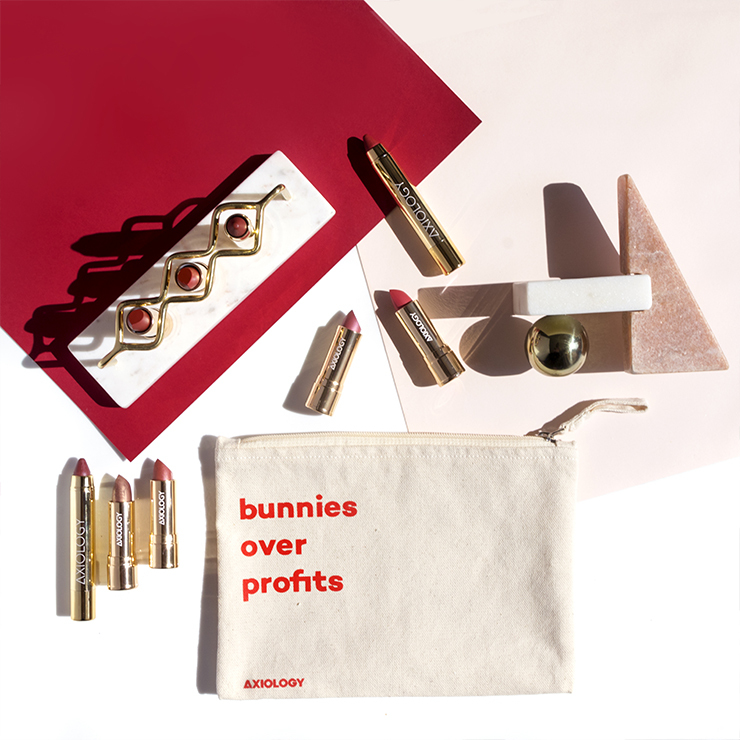 They came a long way and now they are sheer and lightweight and so lovely to use + they have a wonderful sun protective properties which are in fact better than chemical UV filters & they are coral reef safe and much more environmentally friendly than chemical sunscreens. More about that here. And like Nerida Joy, skincare enthusiast and esthetician with 40 years of experience says: "sunscreens are very important but you have to be careful with sunscreens, because sunscreens can burn your skin. The chemicals in them are not so great." She goes on saying "I very much believe in sunscreens, I just don't believe in the majority of the commercial ones that are on the market. They can create problems, they can burn the skin, they can cause irritation and lots of bumps. ... I'm a huge believer in mineral sunscreen." You can watch/listen to the whole interview Jordan Samuel did with Nerida here. I'm very impressed with these two de Mamiel products and I recommend them both. 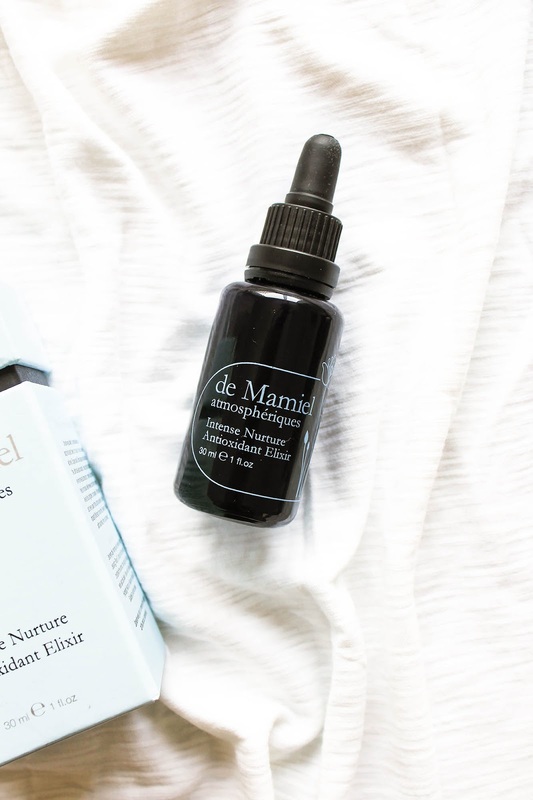 de Mamiel products are of course available in Europe (I say of course, cause it's a UK brand) but you will not get a better deal than subscribing to Beauty Heroes for at least three months to get these two products. 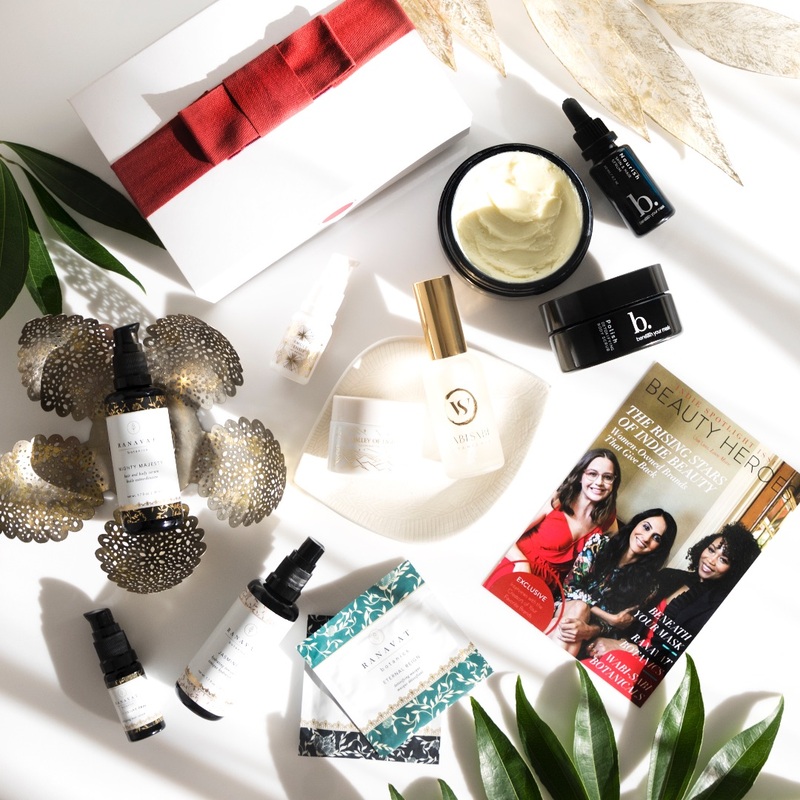 The April Beauty Heroes Beauty Discovery is valued at $147 and you can get it for $39. Get the box here. 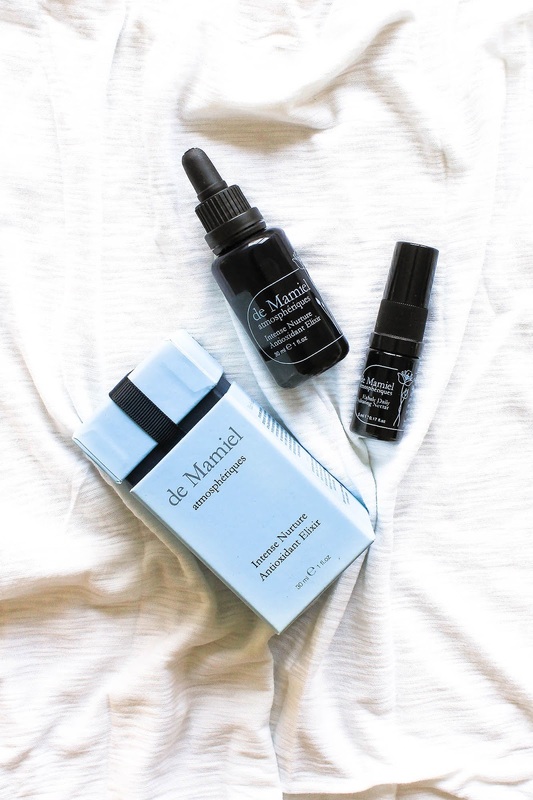 Have you tried de Mamiel products?